It’s that time of year again for the Walk to End Alzheimer’s! If you are local to the Reno area, join us! If you’re not local to Reno, you can still donate and support the cause. I lost my dad, Henry Akao, to Alzheimers on March 14, 2016 after his 12-year battle with Alzheimer’s. I miss him deeply and still mourn. Some say grief never goes away. Although my dad may be no longer physically with us, I’ll love him always. I helped my mom, Rita Akao, write the wording below, which she has used to become a Champion fundraiser for this year’s walk with the help of her church. Please read her story, and feel free to comment or share. Twelve years ago, my husband, Henry Akao, was diagnosed with Alzheimer’s. First I noticed that he couldn’t do banking anymore. A structural engineer by trade, he was always diligent about paying his bills and keeping detailed records in his checkbook. Then I started to notice that some bills were not getting paid on time. Our family had to ultimately take over all of the banking activities. Then we noticed that he would get lost while driving. Luckily he always found his way home. We had to give his car to my daughter so he would stop driving. That was the answer. We even recorded Henry’s voice saying that he was okay with giving our daughter, Gina, the car, so he would remember his choice. Through the Alzheimer’s Association, we found out about the Continuum, an adult respite care program. This enabled me to do errands and shopping on my own while Henry was being well cared for during the days. Then he started wandering. One night, in November, just before his 79th birthday, he wandered outside during the rain and fell. He got hypothermia. I woke up because it was cold and found him at about 3 AM lying on the living room floor. The patio door was open. He was soaking wet, unresponsive, and shaking like a leaf. His temperature was 93 degrees. I called 9-11. The EMT and firefighters took us to Renown and warmed his body. He celebrated his 79th birthday in the hospital, and I was able to stay with him. He was transferred to Life Care, and I stayed with him there as well. A second pair of eyes was needed to care for him. He was very restless at the rehab center and fell again there, and I realized I had to take him home. We had home health care to help him with his walker. He was doing well. One morning, he said he felt really cold. I warmed some blankets in the dryer and put him to bed. I was not able to get him up on my own so I had to call the fire department to help get him up. This happened many times. His primary care doctor put him on hospice. The Circle of Life Hospice nurses prepared us for what would come. The hours prior to him passing were extremely difficult, even though we had CNAs to help us. My daughters, Amy and Gina, and I had to step up to swab his mouth every 10 minutes, because he had developed Thrush mouth. About an hour before he died, I called the hospice nurse, and he stepped me through till Henry’s last breath. Henry passed away at 1:44 AM on March 14, 2016. To honor Henry, we continue as a family to support the Alzheimer’s Association and their ongoing efforts to find a cure for this devastating disease. We prayed that Henry would not continue suffering. We prayed that God would have mercy on us. We are left with fond memories of all the good years we had as a family. He will always be loved. He will always be missed. During his prime, Henry ran eight marathons. At one point during a Walk to End Alzheimer’s, Henry thought he was running a marathon but then he fell. Instantly, there were people to help pick him up and clean up the scrapes on his knees. My family asks you to join us this year in the Walk to End Alzheimer’s so that the world will be free of this heartbreaking disease. As a participant in the Alzheimer’s Association Walk to End Alzheimer’s®, I am leading the way in the fight against Alzheimer’s — but I can’t take on this disease alone. Will you join me in the fight by walking with me? As a team, we can be an unstoppable force against the nation’s sixth-leading cause of death. Registration is easy; simply visit my Walk to End Alzheimer’s page and join my team. If you’re unable to participate, please consider making a donation to my fundraising campaign. Every dollar advances the care, support and research efforts of the Alzheimer’s Association®. Together we can make a difference to shine our light on Alzheimer’s Disease. The 2016 Walk to End Alzheimer’s! Please join us in supporting the 2016 Walk to End Alzheimer’s! 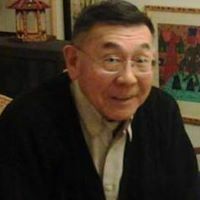 My mom, our good friend Sohei, and I will be walking this Saturday, September 24th, in honor of my dad, Henry Akao, who passed away this March after a 12-year battle with Alzheimer’s. Even if you can’t join us in person, please support the cause! Even a dollar helps us get one step closer to a cure for this terrible disease. P.S. Click here to read a poem I wrote about my dad while he was working in Elk Grove, CA in 2004. – There is also a button to join a “Team”. Good Shepherd is supporting the “A Team” (team leader Rita Akao). Visit http://act.alz.org/site/TR/Walk2016/CA-NorthernCaliforniaandNorthernNevada?team_id=356583&pg=team&fr_id=8858 to join or donate to the A Team. You can also register in person the day of the walk. Registration opens at 8:00 am at the Sparks Marina. There is a playground near the parking lot of the Sparks Marina. Let’s meet there as a group at 9:15 am. Join Me in Supporting the 2014 Walk to End Alzheimer’s! Please join me in supporting the 2014 Walk to End Alzheimer’s! My 77-year-old dad suffers from early-onset Alzheimer’s. This Saturday, September 27th, at 8 a.m., my friends and family will be walking for the cure at the Sparks Marina. If you are not able to walk with us, feel free to donate and sponsor us along this journey. Click here to view the page for the A team. Alzheimer’s doesn’t have a cure…yet. Every dollar you donate goes towards research to find a way to combat this incredibly sad disease that has slowly taken away a part of my father’s identity. First it started with noticing more “senior moments” from Dad. Then came the neurologist visits and the brain scan that showed actual damage. In his day, my dad was a structural engineer. I attended an engineering college fair today and thought of him and the engineering seals he used to use that are now collecting dust in the garage alongside the blueprints we kept. As the disease progressed, we noticed more changes. It was no longer advisable for him to drive, so now I drive the 98 Honda Accord he used to love to zip to work and back, all those long hours, day after day. Engineers take deadlines very seriously, and I think I inherited Dad’s Japanese work ethic. Two years ago Dad landed in the ER with a severe cold, and that illness escalated into something the doctors couldn’t identify. He ended up in the ICU, under medications that made him agitated and addled to the point that we couldn’t understand what he was saying. My mom, sister, and I took turns sitting at his bedside. Unfortunately unfamiliar environments such as hospitals aggravated my dad’s Alzheimer’s and he was so restless that he had to be restrained. It was heartbreaking to have him ask us over an over to be untied, but all we could say was that we couldn’t because we didn’t want him to fall getting out of bed. Luckily, he remembers nothing from that ordeal. After some time in a nursing home to do physical therapy to regain his strength and steadiness, by some miracle Dad pulled through. Today, under my mom’s loving care taking, Dad is walking taller and stronger than ever. In fact, he walks so well that last year, at the Walk to End Alzheimer’s he mistook the event for one of the marathons he used to run when my sister and I were little. He actually started jogging. Before I could get the words, “Dad, slow down,” out of my mouth, he fell forward. When a 2-year-old child falls in front of you, that’s one thing, but when a 77-year-old man falls, the consequences can be far worse. The paramedics examined him and thankfully he came away with a few scrapes and bruises. Each year, at the walk, pinwheel flowers are handed out to the walkers. Each pinwheel color represents a different circumstance. Although there’s a color for “I suffer from Alzheimer’s,” Dad chose the color for “I support the cause.” Indeed he does. My dad always took good care of me, and so today, the least I can do is support the Walk to End Alzheimer’s! I invite you to join the A team and support the cause with us!